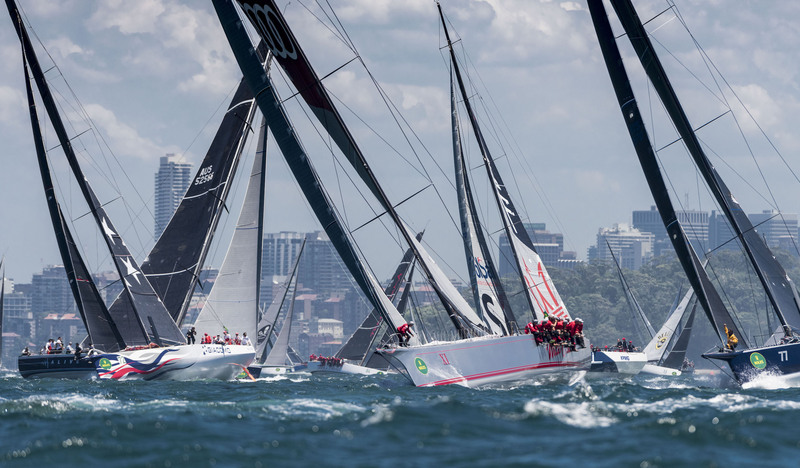 Ninety two yachts entered for 2018 Rolex Sydney Hobart Yacht Race. The Cruising Yacht Club of Australia’s (CYCA) announced that 92 yachts have entered the Rolex Sydney Hobart Yacht Race, one of the nation’s greatest sporting events – and when the start cannon fires on Boxing Day, 26 December at 1pm local time, on show will be one of the most competitive fleets from around the globe. There are five 100ft super maxis entered for the 74th running of the race, along with last year’s winner, Ichi Ban, the S&S 39 Mark Twain (first boat to attain 25 Sydney Hobarts back in 2002), the elegant 78ft Drumfire, Komatsu Azzurro, a memorable S&S 34, the oldest boat in Kialoa II (built in 1964, she took line honours in 1971), the smallest in Gun Runner, at 9.2 metres and 13 international entries. Most of the fleet is vying for the Tattersall Cup, awarded to the overall winner. Looking at the variables, it is difficult to determine favourites for the 628 nautical mile race. Whether the winner comes from NSW, Tasmania, Queensland, Western Australia, Victoria, South Australia, or from one of the foreign entries representing Hong Kong (2), China, Russia (2), Poland, UK, USA (3), Germany, France and Hungary, remains to be seen. The largest yachts in the fleet lead the way out of Sydney Harbour. 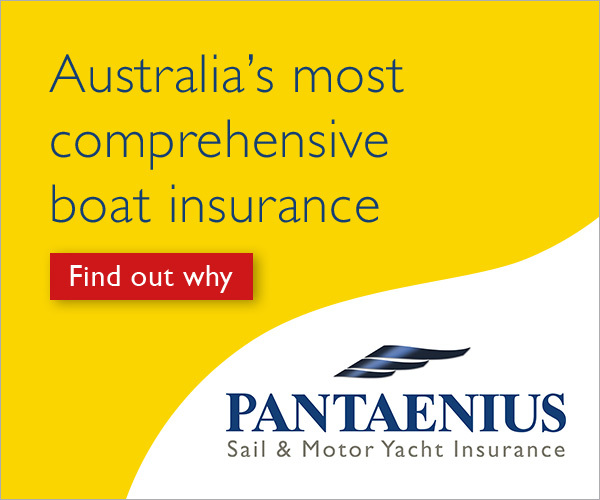 CYCA Commodore, Paul Billingham says: “I am delighted at the size and quality of the fleet. Talking to several owners, it’s clear that a number are seeing this year’s race as part of a two-year campaign taking us into the 75th anniversary race in 2019. We expect five super maxis – but it’s when you look at the full list of entries that there is a real feeling of depth and quality. A number of yachts new to the race will make appearances. Among them, I’m keen to see how Sean Langman goes with the RP65 Naval Group he is skippering in collaboration with the French-owned Defence business, Naval Group. The super maxis are headed by race record holder, Comanche, owned by Jim Cooney/Samantha Grant, and the Oatley family’s Wild Oats XI, holder of a record eight line honours titles, including two trebles of line honours, record and overall win. Joining them is Christian Beck’s InfoTrack, (broke the race record as Anthony Bell’s Perpetual LOYAL in 2016) alongside Peter Harburg’s Black Jack and Seng Huang Lee’s Scallywag. All will be aiming at Comanche’s record of 1 day 9 hours 15 minutes 24 seconds. Could Matt Allen’s TP52, Ichi Ban, be the first, since Freya in 1963/1964 to string together two consecutive overall victories? Nine other TP52s are a small proportion of those gunning for Ichi Ban, which has swept all before her since launching late last year. Other rivals will be anything from Phillip Turner’s RP66, Alive and the Tasmanian’s near sistership, Wild Oats X, to an unusually strong field of other 60-70ft yachts this year. Langman has the productive RP65, ‘Moneypenny’, renamed Naval Group, Ellis has purchased the Limit, an RP63 now known as Voodoo, while Terrance Glackin will skipper the Mills 68, best remembered as Alegre and Caol Illa, but now known as Prospector. All three have proved themselves on the race track, and will be joined by others such as the LC60, Triton, owned by David Gotze/Michael Cranitch, which will provide Tony Ellis his 51st ride, when he will equal Tony Cable’s record for the most Sydney Hobarts by an individual. Down the size scale are some other ‘50’s: Scott Innes-Jones’ Cookson 50 Privateer, Friedrich Boehnert’s X-50 Lunatix, Eric de Turckheim’s NMYD 54 Teasing Machine III and John Newbold’s RP51, Primitive Cool. Smaller again are Tony Kirby’s Ker 46 Patrice, Bruce Taylor’s 2018 Noakes Sydney Gold Coast race winning Caprice 40, Chutzpah, Mark Griffith’s Ker 40, Showtime and the Sydney 38s, such as Tony Levett’s TSA Management. Aron Ormandlaki will skipper the race’s first Hungarian entry, via the TP52, M3 Team Hungary, while Zoe Taylor returns with Grace O’Malley for a second time, adding Clipper round the world winning skipper Wendy Tuck to her crew, fresh from being named 2018 Australian Female Sailor of the Year and inaugural Offshore Sailor of the Year.